Drew Eaton’s Money Shot and Jason Gordius’ Miss Behavin' Again race a heat of the Bass Harbor Lobster Boat Race. 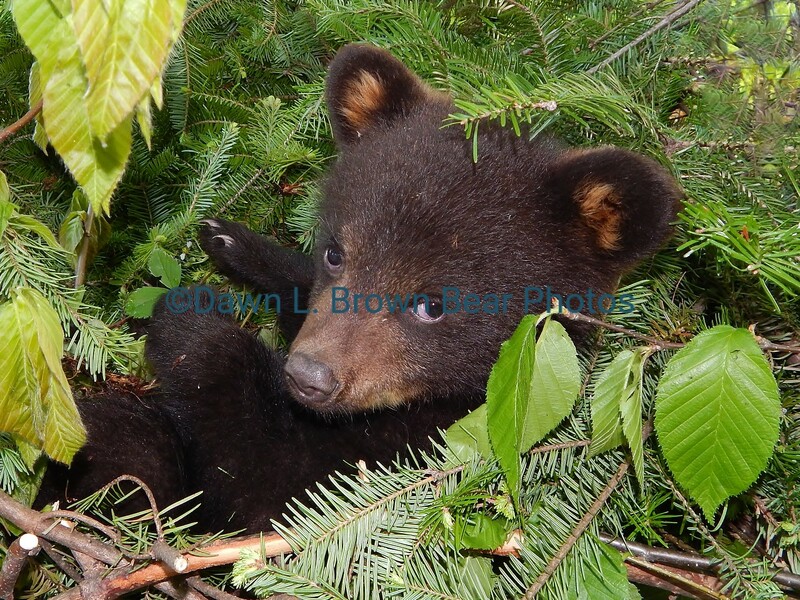 Photo courtesy of Jon Johansen. BASS HARBOR, Maine — To Patrick Hanley, it was the extra salt that did it. 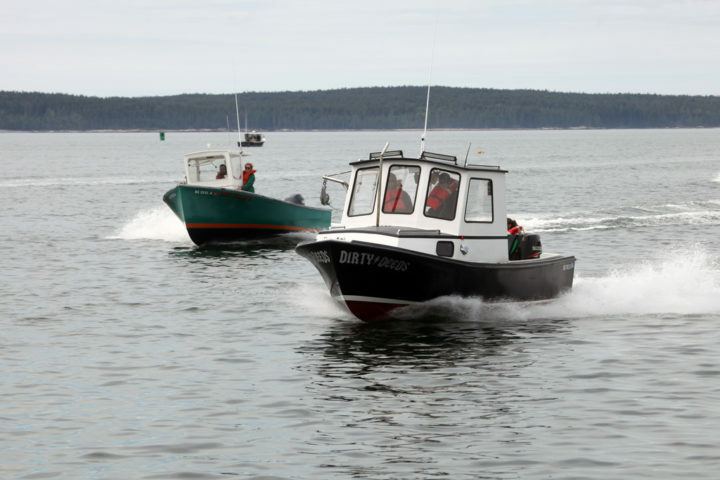 A 19-year-old lobsterman from Bass Harbor, Hanley ran about 6½ knots faster during the lobster boat races in Bass Harbor last weekend in his boat, the Haleigh Katlyn, than he had the year before. But, he lamented at dockside over a few beers, he could have done better. The Bass Harbor Lobster Boat Race is as much about comparing boats after the race as it is the race itself. Not that Hanley expected the Haleigh to win much at the Bass Harbor Lobster Boat Race. Most lobstermen don’t race their boats just to win, he said. 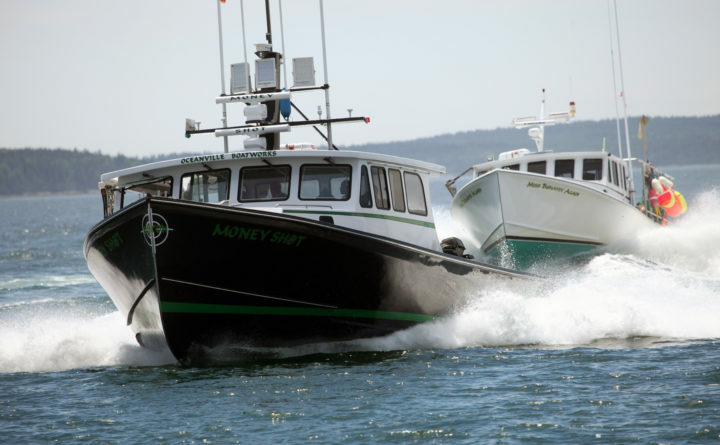 The races, said Wayne Rich, a lobsterman and organizer of the Bass Harbor race, let the state’s 4,800 commercially licensed lobstermen see the debut of new lobster boats, meet other fishermen and talk. “It certainly gets people in the community out to enjoy the day,” Rich said. “The Bass Harbor Library raised money for a building addition at our race and of course the fishermen that race win some good prizes. “I’ve always likened it to a mix between a NASCAR race and a family reunion, sprinkled with some good old fashioned tractor pulling just for pizzazz,” Otis said. Hanley used the race as a motivation to improve his boat. Hanley and his father reconstructed his boat’s keel and installed a new transmission. The resulting speed increase allows him to go farther out onto the water and place more lobster traps, which can increase his earnings, he said. Racers use the event to test improvements for their boats. The rope that Hanley tied to the stern of the Haleigh Katlyn acted as a kind of trim tab, helping stabilize the boat and produce more speed, Rich said. “It is an old-fashioned trick to see if a trim tab will improve your performance,” Rich said. Other fishermen work to improve their race performances by removing the cages they keep around their boats’ propellers or scrubbing hulls to remove grass and barnacles. “Anything to cut down on drag,” Rich said. Cold air is denser than warm and denser air improves engine combustion, so some fishermen pack ice around an engine’s air intakes to improve speed. Other lobstermen enrich their fuel mixture with propane or vodka, said Jon Johansen, president of the association and publisher of Maine Coastal News. Otis said he didn’t want to get too far into how much work goes into winning a race for some of the more competitive fishermen. But most don’t take the racing too seriously, Otis said. Cole McEnroe’s Dirty Deeds took first in this heat of the Bass Harbor Lobster Boat Race, defeating Hot Damn II. Some of the antics at the races surpass the races themselves and become race legends, Otis said ― some of them hard to believe unless you know lobstermen. There was the lobsterman who finished a race water skiing behind the boat barefoot and hanging onto the transom. That practice ended quickly: Now all racers are required to be in the boat’s main cockpit, Otis said. One racer created a hybrid, a pleasure boat mated to a Pontiac Sunbird, featuring twin 200-horsepower Yamaha engines in the transom that went 50 mph on the water, or about 46 knots, Johansen said. “And we’ve had seaplanes race that were ultimately disqualified when they took off up into the sky at the finish line,” Otis said. “I’ve witnessed a man try to sneak into the lady skippers race with a mop on his head and a poorly-fitting coconut bra,” he added. The best example of the limits of competitive zeal among lobstermen comes from a common racing adage — if it isn’t bolted down, get rid of it — and how racers follow it. Or don’t. 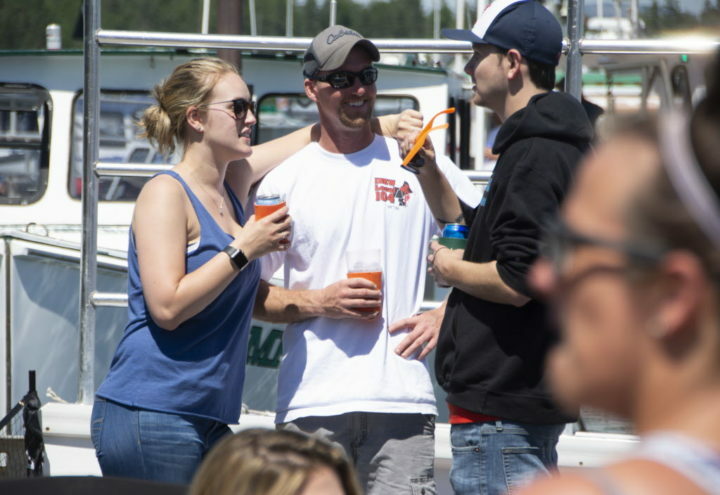 Many boaters in the Bass Harbor races removed their lobster traps to lighten their craft and increase their speed, but kept their wives or girlfriends — and beer coolers — on board. Rich said he was just kidding when he spoke of women being good scenery, and for good reason. The women who participate in the races more than hold their own against the guys. According to 50-year-old Southwest Harbor fisherman Corey Pettegrew, the best boat in the Bass Harbor race for his money was Gold Digger, which is owned by Heather Strout Thompson of Harrington. 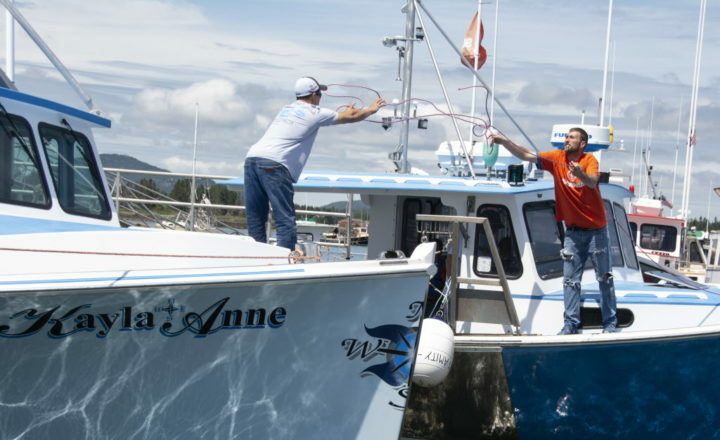 Hanley raced the Haleigh Katlyn with 22-year-old Haleigh Hammar of Bass Harbor, who, besides being his girlfriend, is the person after whom he named his boat. Lobstermen- and -women gathered from around the state at the Bass Harbor Lobster Boat Race on Sunday. The best reason for the races is the rigors of the profession itself. Lobstering is a difficult life ― a seven-day-a-week job that for most northern Maine fishermen runs from April to December. 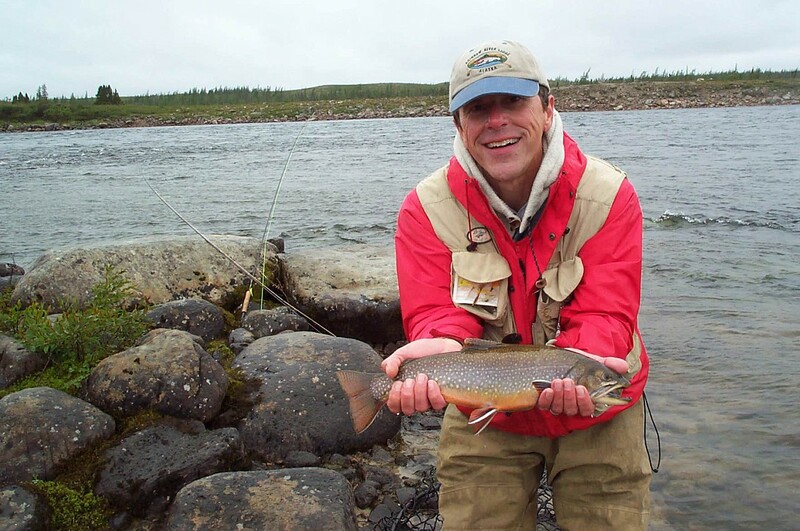 “If you’re not fishing, you’re doing maintenance or repair work, or preparing for whatever the next week or month brings,” Rich said. And costs continually rise, Rich said. “The price of everything marine-related is so high. Having to deal with the expenses we go through is probably the most difficult part of it,” he said. New boats can cost from $250,000 to well over $1 million. Bait that cost $8 a bushel 20 years ago now costs about $50 for the same amount. Lobster licenses are expensive to renew and a lobstermen who fails to renew his license loses it forever, Hanley said. Yet today lobstermen get only about $5.50 per pound of hardshell lobsters, about the same price as 20 years ago, Rich said. The lobstermen who work part time often have to scramble to fill the four months of off-season, and the annual catch is anything but predictable, Hanley said. The expenses, and the meager lobster catch this year, make Hammar especially pleased with the prize the Haleigh Katlyn earned. 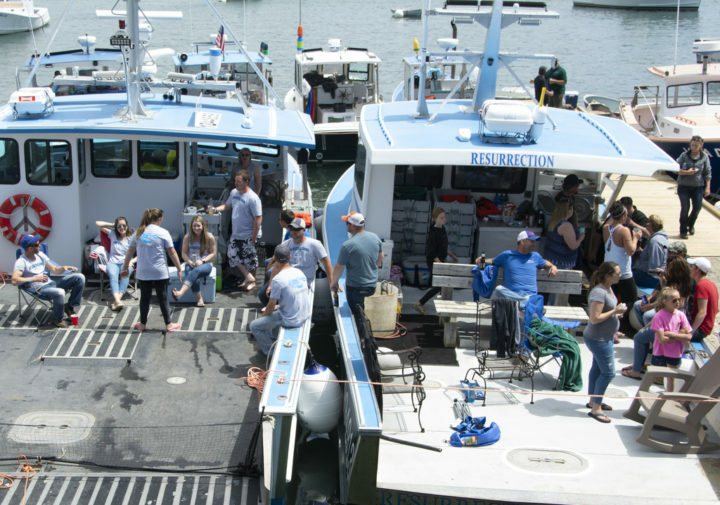 The 2018 Maine Lobster Boat Racing Association season started with June 16’s race in Boothbay Harbor and ends with the Aug. 19 race in Portland.